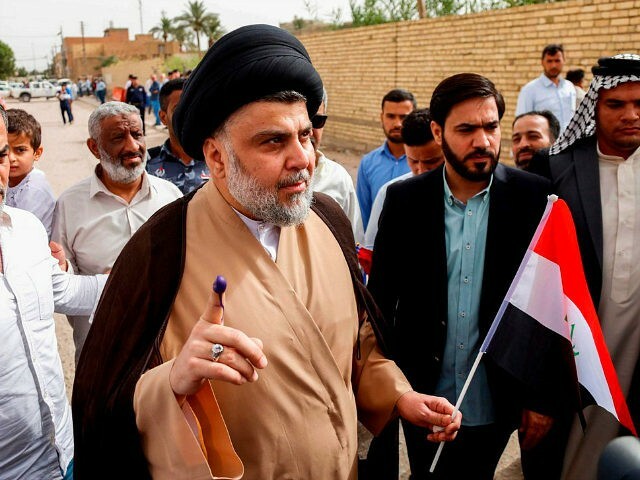 Iraq’s Election Commission released the final results of last week’s Parliamentary Elections early Saturday local time and declared Shiite cleric Muqtada al-Sadr’s Sayirun (“On the Move”) coalition the winner of the majority of seats in Parliament. Prior to Saturday’s election results, al-Sadr’s coalition, Iraqi Prime Minister Haidar al-Abadi’s Nasr (Victory) Coalition, and Hadi al-Amiri’s Fatih (Conquest) Coalition were in a virtual three-way tie. Allegations of irregularities and fraud reportedly delayed the complete count which came in early Saturday morning in Iraq. Al-Sadr is both a long-time adversary of the United States and, over the years, has come out in opposition to Iranian influence in Iraq. Despite winning a majority of votes, al-Sadr cannot become Iraq’s next prime minister because he did not run in the election. However, his political bloc’s victory now places him in a position to hand-pick the country’s next prime minister. It is possible that current Prime Minister Haider al-Abadi will be renamed the prime minister.